The key feature of retail barter exchanges is the third party trading element. Barter exchanges act as third party record keepers and trade facilitators between their member companies. An internally issued trade credit is used to record the sales and purchases of the members. As the members accumulate trade credits from their sales they then can spend those credits with ANY other participating member of the barter exchange. The internet provides a simple, low cost venue for entrepreneurs to start-up a barter exchange. In addition, competition in the third-party barter software market has significantly lowed the financial barriers for entry, which has resulted in a significant increase in new barter exchange start-ups. However, pure internet based barter exchanges have not experienced a high degree of success due to their reliance on the internet to organically put the buyers and sellers together. The last fifteen years has shown that successful barter exchanges offer a professional customer service, (“trade brokers”), who pro-actively communicate with buyers and sellers to increase transaction volume. Any retail barter exchange that does not provide pro-active brokerage services to their clients will have a difficult time growing or even maintaining status quo. The largest concentration of retail barter exchanges is in the U.S., but Australia and New Zealand have a strong barter exchange presence and the sector is growing across the globe. China and the OIC, (through the IDB & ITFC) are examining implementing multi-tiered barter systems which would include a retail barter component. While the clear majority of barter exchanges are structured as privately owned C-Corp’s or LLC’s. However, a recent trend favors an ownership structure based on cooperative or member owned principles. In the U.S. the relatively new “B-Corp” (Benefit Corporation) is gaining popularity as a model since it encompasses community purpose goals by focusing on social, environmental and corporate sustainability thresholds and standards. 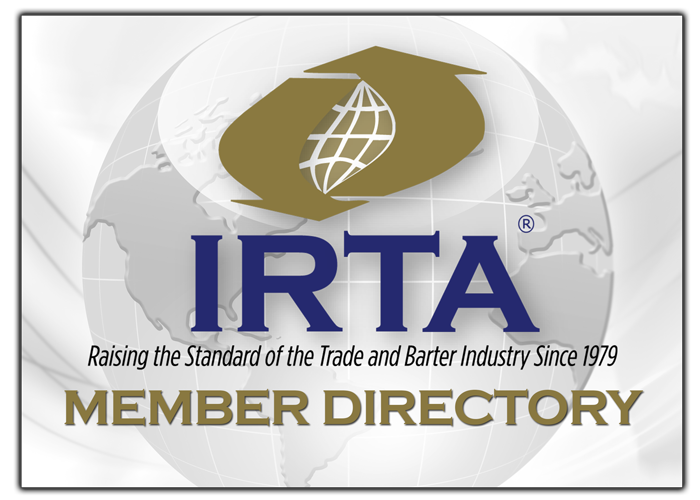 IRTA Advisory Memo: Character, Use, and Valuation of Trade Dollars in the U.S.